Dance Connections is dedicated to offering high-quality instruction at an affordable price. The school's curriculum offers classes in ballet, pointe, modern, jazz, tap, Broadway dance, hip-hop, yoga, and most recently the addition of the Twinkle Stars Curriculum for our preschool ages dancers. The curriculum also fully integrates the cognitive, motor, social, and affective domain as well as addresses the needs of children to express and communicate their ideas, to understand and know themselves, and to master their own movement abilities and potential. The focus at Dance Connections is to educate each child individually in order to bring each student to his/her full potential. At Dance Connections, every child can be successful in dance. Dance Connections is a true family-oriented studio. Our focus is on getting to know each dancer and the dancer’s family. It is this dynamic that we hope makes us different. We approach dance on an individual basis realizing that each dancer’s body is unique and moves differently, and understanding that each dancer learns in his/her own way. Dancing safely is first on our list. We believe in equipping our young dancers with the most anatomically correct method of dancing. We do not agree with forced turn-out or pushing a dancer beyond his/her limits. We want our dancers to have the opportunity to enjoy dancing all throughout their lives. Our classroom approach is to teach serious dancing in a fun and nurturing environment. We believe our love, passion, and excitement for dance is what motivates dancers. Dance is not only a discipline but also should be a lot of fun. We like to balance classes so that our dancers are both working hard and having a great time in the process. Our main goal is really to foster the love of dance and create a happy, nurturing, and enjoyable atmosphere where our dancers can explore, learn, and grow. We want to see our students grow into self-confident, experienced movers who will continue their love of dance for many years to come. At Dance Connections, we believe in the value of the day-to-day class. We do have a beautiful recital in the spring where our dancers can show off what they have learned. Our recitals are important, but are low key and meant for the enjoyment of everyone. It is a showcase all about the dancers! Our recitals are wholesome family shows with age appropriate costumes that make all our dancers look beautiful. 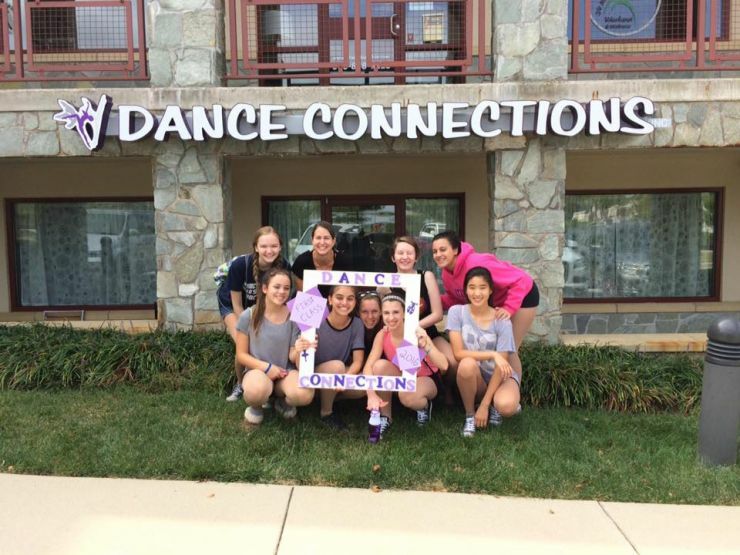 Dance Connections began 16 years ago and it continues to grow. We feel that growth is based on our value of dance and our true love of teaching. We hope that you will find all these qualities important and look forward to either you continuing with or joining our dancing family. Happy Dancing!